Given the small size of Iida the show has to stretch to find enough topics to fill out its time slot. The highlights in the first episode were a segment on puppet theater, which has deep roots in Iida, and a segment where the hosts gamely try out a local delicacy made from horse intestines. More generic were segments on a local pop culture festival and a zoo used a model for some scenes in Wake Up, Girls! 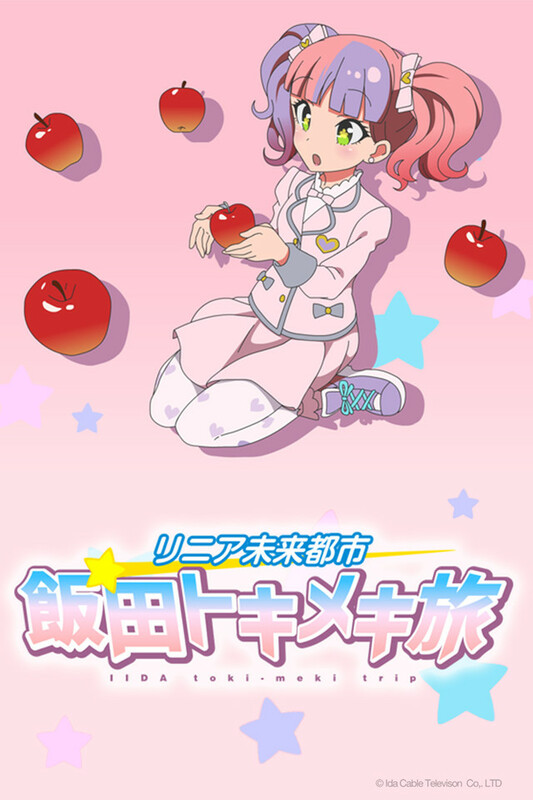 Based on Wikipedia I predict future episodes will feature apple trees (which the townsfolk planted a lot of after a devastating fire in 1947) and the associated apple festival, a fireworks festival, mizuhiki (decorative cord art), and maybe the local Brazilian population. I presume they'll also have some nature-focused segments as well, going into the mountains for skiing, climbing, and hot springs resorts. The hosts are perfectly fine choices for this sort of thing, with Kimura U bringing the bubbly enthusiasm and Benny acting as straight man. However if this series goes for more than a few episodes I think they'll be straining to keep up the audience's interest. This is just me, but I'd like to also see some more substantive segments on the potential impact of the Chūō Shinkansen line on Iida: Will Iida become a bedroom community for Tokyo? What sort of population growth is anticipated? What about the effect on the local economy? What are the feelings of some ordinary citizens of Iida? But I expect the rest of the series will stay firmly in travelogue mode.